An award winning author in his own right, Adam Roberts makes no concessions when appraising the work of others. His reviews are honest, forthright, and never timid. 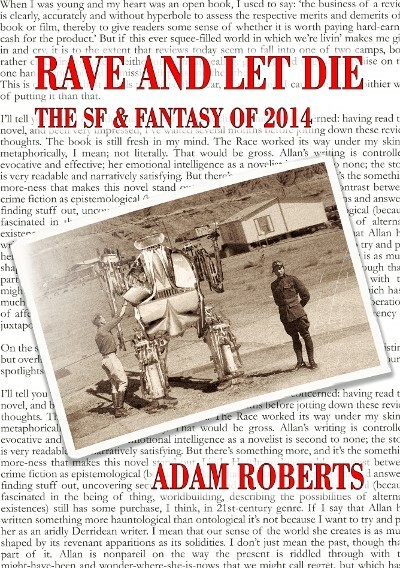 Following the success of Sibilant Fricative (Steel Quill Books, 2014), Adam now takes on the daunting task of providing an overview of the science fiction and fantasy produced during 2014. As ever, he pulls no punches, and Rave and Let Die features nearly 100 reviews, packed with the sort of insight, wit, and honesty that characterised the first volume. One thing the author never loses sight of is the need to entertain.